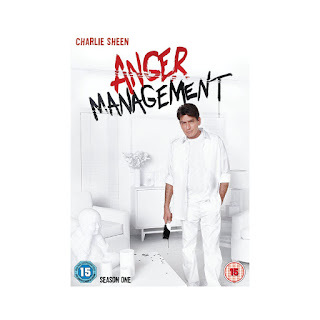 Following record breaking TV ratings in the US, hit sitcom ‘ANGER MANAGEMENT’ starring the award-winning CHARLIE SHEEN alongside SELMA BLAIR, arrives in the UK on 14th January with the release of all 10 episodes from Season 1 on DVD. SHEEN stars as Charlie Goodson, a non-traditional therapist specialising in anger management. He has a successful private practice, holding sessions with his group of primary patient regulars each week, as well as performing volunteer counselling for an inmate group at a state prison. Charlie thrives on the chaos in his life while still battling his own anger issues. His life is complicated by his relationships with his own therapist/best friend ex-wife, and their 13-year-old daughter. I've always been a fan of Charlie Sheen, he has always been so funny to watch. Anger Management brings Charlie Sheen back bigger than ever & back to his best. His character is great and the cast are brilliant together. The show is hilarious and once I started watching it was hard not to stop watching one DVD after another.